Sporting CP and Santa Clara face at Estádio José Alvalade, in a match for the 26th round of the Primeira Liga. In the last league head‑to‑head, played in 04‑11‑2018, Sporting CP got an away win by (1‑2). Santa Clara registers significant differences between home and away results, so special attention is due to the home/away factor. After 16 wins, 4 draws and 5 losses, the home team is in the 4th position, havinf won 52 points so far. In the last match, they have won in an away match against Boavista by (1‑2), after in the previous match they have won (3‑1) at home, against Portimonense. This is a team that usually maintains its competitive levels in home and away matches, since in the last 30 matches they register 7 wins, 5 draws and 3 losses in away matches; against 10 wins, 1 draw and 4 losses at their stadium. In the last 10 home league matches Sporting CP has a record of 8 wins, 1 draw and 1 loss, so they have won 25 points out of 30 possible. They haven't been very strong defensively, since they have suffered goals in 7 of the last 10 matches, but their offense has scored frequently, since they have scored goals in 8 of the last 10 matches for this competition. In their home matches there is a tendency for goals, since 10 of the last 13 matches for this competition have ended with Over 2,5 goals. They have conceded the first goal in 11 of their 25 matches for this competition, but have been able to turn the score around in 5. 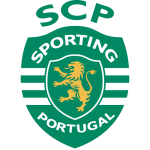 Sporting will try to give the best result to the last results and beat Santa Clara. The three points are a necessity, especially if we consider that the match will be played at home and in front of the demanding leonine fans. In addition, it is important to eliminate the disadvantage for Braga which is already set at three points. Bruno Gaspar is back and may be an option, while Bas Dost continues to perform treatment at one of the knees, being a doubt for this match. Gudelj also can’t play and should give way to Doumbia. Bruno Fernandes continues to be the most productive unit of the lions, the engine of the green and white match. Confirmed Lineup: Renan Ribeiro, S. Ristovski, J. Mathieu, S. Coates, C. Borja, Bruno Fernandes, Wendel, I. Doumbia, B. Dost, Raphinha, M. Acuña. The away team is currently in the 8th position of the league, with 32 points won, after 9 wins, 5 draws and 11 losses. In the penultimate match, they tied in an away match against Chaves, by (0‑0). In the last match, they tied in a home match against Desportivo Aves, by (0‑0). This is a team that usually gets better results in away matches than at home, since in the last 30 matches they register 7 wins, 4 draws and 4 losses in away matches, with 19 goals scored and 14 conceded; against 5 wins, 2 draws and 8 losses at their stadium, with 20 goals scored and 23 conceded. 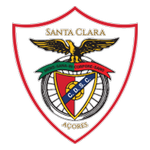 In the last 10 away league matches Santa Clara has a record of 5 wins, 2 draws and 3 losses, so they have won 17 points out of 30 possible. In their away league matches the most frequent result at half‑time was the 0‑0 (5 out of 12 matches). Defensive consistency hasn’t been their best feature, as they have conceded goals in 7 of the last 10 matches for this competition. In their away matches there is a tendency for goals, since 5 of the last 12 matches for this competition have ended ended with Under 1,5 goals. In 25 matches for this competition, they have conceded the first goal 10 times and have only turned the score around in 1. In the last 12 away matches for this competition there is 1 period that stands out: they have conceded 4 of their 11 goals between minutes (46'‑60'). Santa Clara has been playing a very interesting time, particularly when they’re in the visiting team's position, even presenting a frankly superior performance to play away the archipelago of the Azores. Unfortunately, it may not be enough to take points from Alvalade, however, the expectation is that they’ll present good football, able to make difficult and much the Sporting’s task. Pineda and Osama are in doubt that should be undone closer to the starting kick. Confirmed Lineup: Marco Pereira, Fábio Cardoso, Patrick, João Lucas, César, Francisco Ramos, Bruno Lamas, Kaio Pantaleão, M. Chrien, M. Evouna, Guilherme Schettine. Assuming that Sporting will be able to count on a Bruno Fernandes in maximum strength and with all the inspiration, it is easy to anticipate the leonine’s victory; however, being so predictable has no value. For this reason, the betting suggestion for this match will focus on the Asian handicap (-1.5) for Sporting, quoted at 1.57.